Video game ‘streaming’ platform OnLive recently rolled out its OnLive Office app. Basically, they are hosting an instance of Windows, and Office, in the cloud, and streaming it to you for use on the iPad. The downside is that it requires a persistent web connection. The upside is that it’s free* and offers the promise of full MS Office functionality on the iPad. Does it do the trick? After some sign-up throttling hiccups, my account went live and I went to work to find out. Here’s a look at the desktop. As a commenter pointed out, it really feels like a Windows machine inside your iPad. For my part, it’s a bit like a possession, and a somewhat unsettling one! I really wanted to like OnLive, so I went in with an open mind. The good news is that unlike CloudOn, I noticed somewhere between ‘no lag’ and ‘not enough lag to bother me’ in real usage. I guess their long experience streaming games has taught them a thing or two. I applaud the effort to get a full fledged desktop keyboard onto the iPad’s screen. But in use, it’s just too cramped and reminds me of the Dell Mini 9 Hackintosh keyboard. Ick. All the touch typing proficiency I’ve built up was simply gone. And to be honest I don’t think you could get there with OnLive even with a lot of practice. Even though certain functions would be ‘buried’ somewhat using the system keyboard, I highly recommend to OnLive that they at least make it a user option. Without it, I could never use OnLive long term. 2) The UI, while more familiar and ‘standard’ Office feeling than CloudOn’s, is still needlessly complex and flies in the face of the wonderful, elegant UI standards that have been set by native apps like those in the iWork suite. The bar is high, and OnLive reveals the pitfalls of porting – even when done with some care – as opposed to designing anew from the ground up.Add in the lack of integration with Dropbox or other cloud based file lockers and an inability to print directly from within the app, and I’m left with a sort of perplexed sense of things here. OnLive seems to have the virtual machine hosting/streaming thing down pat. There’s no lag that I perceived as problematic. And they’ve obviously put thought and effort into this Office effort. On the other hand, they shipped something difficult enough to use with any regularity that I have to wonder whether the folks at OnLive actually spent time using it themselves. Replace the keyboard with the iOS system keyboard, and integrate with dropbox, and OnLive might have a winner, moreso if they streamline the UI as well. Until then, those looking for MS Office on the iPad will have to wait until Microsoft does the inevitable, or, use Apple’s pretty great iWork apps. This entry was posted in Apps, Features, iOS and tagged Apps, Features, iOS, office on ipad. Bookmark the permalink. Thanks for the interesting and valuable post (and also for your great blog)! I hope you can comment on and perhaps give me some advice about what is an issue for me. I am using a ZAGGfolio BT keyboard with my iPad2, and I am very happy with this combination and the possibilities it gives. But using the various writing apps (for instance Pages) I miss the Forward Delete key. I am very familiar with using Word 2003 and the ctrl.+Del command to delete the word on the right side of the cursor, so I hoped that it was possible to use Pages with the external keyboard that way, but that is not possible, of course – (also the fn-key is missing). I hope that there soon will be an Office app for the iPad with Word, but then I strongly hope that there will also be a keyboard option (preferably external) that has a Delete key that works in the “PC way” that I am used to. At this moment: Do you know of a solution to this issue? For the future: Do you think there will be such a keyboard solution, or a workaround like remapping, so that my wish for a regular PC Delete key (with its functions for instance in Word for Windows) will be obtained? Thanks for posting, and for the kind words. To your question, I hear you. The forward delete functionality is certainly one that I miss in use on the iPad. I usually wind up selecting/highlighting the text forward I want to delete, though obviously that’s not as quick and easy as a proper forward delete key! 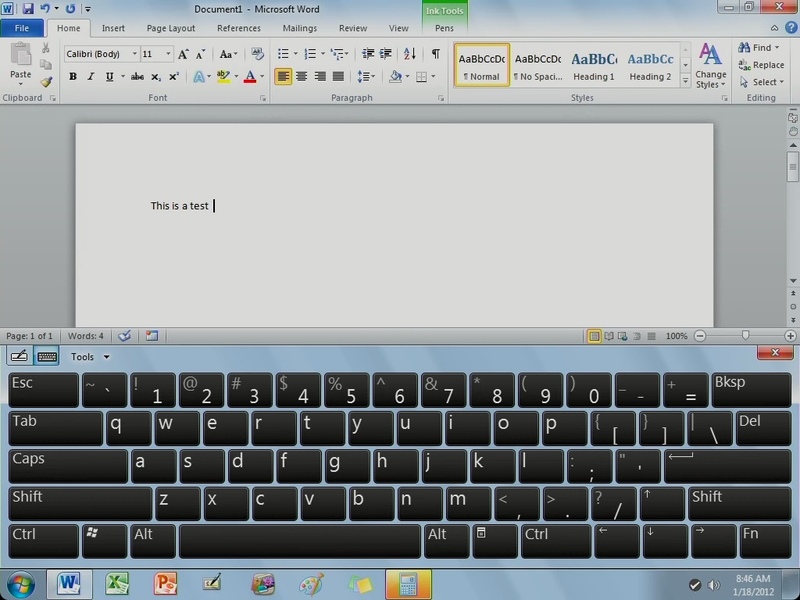 It’s possible that the on screen keyboard in OnLive has it. I actually didn’t notice, and have since deleted the app because it was such a let down (and because I have much better alternative solutions, primarily the iWork apps). Other than apps like onlive which use their own on screen keyboards (which i can’t recommend, and I don’t know of any others off hand) the only solution I can think of for now is via jailbreaking, but even then I don’t know with certainty that you can remap the keys of an external Bluetooth keyboard. There are definitely onscreen keyboard hacks and extensions available via jailbreaking. That said, when I JB’d my iPad recently the 5 row keyboard, which has some customization capability, had not yet been verified for iOS 5.0.1 so I couldn’t install it. As a result I can’t say for sure whether it has a forward delete key or not. My guess is that it will ultimately be approved in Cydia for 5.0.1 (or fixed in order for it to be approved). Until then, you could try the macrumros or other boards to ask someone whether or not the 5 row keyboard has a forward delete key. It’d still be on screen only (and you’d have to JB, something I’ve decided against for now), but maybe worth trying if it’s crucial for you. Good luck and let me know what you find! 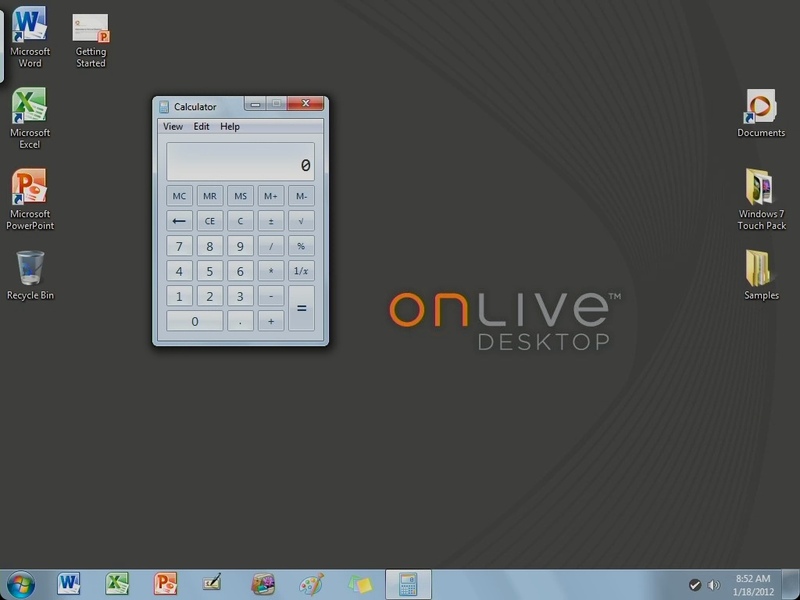 The OnLive keyboard is not custom, but rather it’s Microsoft’s “Tablet PC input panel” used on almost all Windows 7 based tablet PCs. If anything, let this be a glimpse of what it might be like using a Windows 7 based Tablet. Wow Denny I didn’t know that! Thanks so much for posting. Hmm. I have to admit that this really does make me rethink where things may be headed for W8 tablets. Or, more accurately, where the market for W8 tablets will go. At a 10″ screen size the Windows keyboard is simply too small to be useful for any prolonged usage. The iPad’s keyboard, in contrast, I’ve come to quite love and be very proficient at in use. I wonder if that means that W8 tablets will have to be 11-12″ before their keyboards become really useful. If so, that’s a whole other form factor IMO. 12″ screen, plus bezel, is not so ‘handy’ if you get my meaning.